This week I am going to deviate from my typical motorcycle accident articles to talk about your children and cycles. Given the increased popularity of motorcycles these days, it’s not surprising to see the proliferation of the so-called “mini-cycles” and ATV’s. This being the case, like me, I’m sure many of you have had requests by your children to purchase one of these so our kids can be like Mom, or Dad! As such, after several weeks of begging I gave in and bought my son a 4-wheeler. Although I have forbidden my son to ride the 4-wheeler in the street, I am seeing many of the “mini-motorcycles” and ATV’s being driven in the street. Unfortunately, like many activities which are “fun”, these cycles come with considerable risks to the riders whether they are driven on road or off. In addition to not being very visible, it is illegal to drive virtually every one of these vehicles on public roads or highways and if the police see the vehicles being driven, they will pull it over and possibly issue a ticket and/or confiscate the vehicle. Furthermore, one of the problems I have recently been faced with, and I am sure that anyone whose child has one of these vehicles will be faced with, is what do you do when friends want to operate the vehicles. 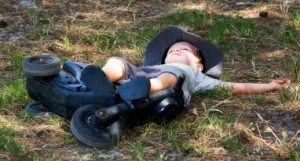 Initially I didn’t have a problem allowing other children to ride my son’s ATV, but the more I thought about it and began checking into the situation, I realized that if one of these children are injured while riding my son’s vehicle, I have exposed myself to liability and a potential motorcycle accident lawsuit. 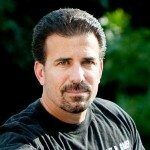 Unlike an automobile, or motorcycle, which carries liability insurance that would protect me if someone was injured while operating or riding as a passenger in my car or motorcycle, if another child is injured while operating my son’s ATV, there may not be any insurance to cover me if I am sued. The only potential insurance that might apply is homeowners insurance. However, many homeowners’ insurance policies will not provide coverage if someone is injured while riding one of these vehicles. In my opinion, this is not a risk worth taking and I have now forbidden my son to allow anyone, other than him and his sister, to ride on his ATV. I think that as a precautionary measure, it would be in everyone’s best interest that if you do purchase one of these vehicles either for yourself or your children, that you do not let anyone else drive the vehicle. 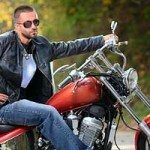 Although, I have found that saying no to my children’s’ friends is not an easy thing to do, I know that should one of them get hurt on the ATV, it wouldn’t be long before I received a letter in the mail from their personal injury lawyer. Feel free to call me, Lee D. Gaber, Pennsylvania motorcycle accident attorney, at 888-292-5352 with questions about any aspect of motorcycle accidents, claims, or insurance.